Astronomical and geographic map, 1781. 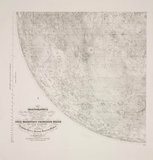 Geological map of the moon, 1967. Plans for the Forth Railway Bridge, 1889. White Star Line triple-screw steamers 'Olympic' and 'Titanic', 1911.